← How Can a Father Impact a Child’s Life? Traditionally, it is the father who is the breadwinner in most families. This ideal is slowly shifting as both parents are beginning to share this responsibility, but it is still important for fathers to provide for their families. As a father, it is your responsibility to not only provide the best life possible for your family but to also be the foundation that your children can hold fast to. This can sound intimidating but through our fatherhood program in New York, we can help prepare you. A requirement for raising a family is having a stable job that can provide a good income to keep food on your plate and a roof over your head. Through our fatherhood training center in Bronx, New York, we are able to provide you with the training, knowledge, and education you need in order to get work that can help you provide a good life for your family. Your children are always looking up to you and seeing what you do in certain situations. They then replicate this. For this reason, it is important for you to be a good moral compass that your children are able to emulate in their own lives. If you are a good man, chances are your children will share the same trait by copying you in their early years. Traditionally, the mother is there to nurture your children and you are there to provide discipline. This is important. It can be difficult to discipline your children because the last thing you want is to see them hurt, but it is an important part of being a father and a critical factor to ensuring they grow up to be good individuals. Parenting is not easy but we are here to lend you a hand. 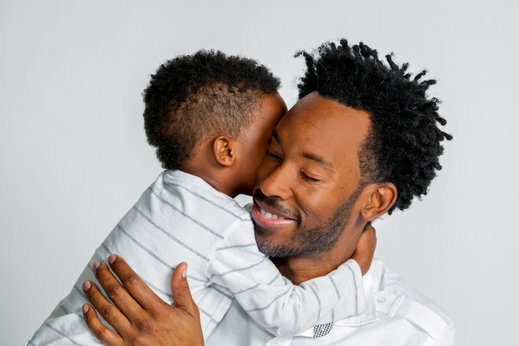 Those are just a few of the many factors that you will want to keep in mind when it comes down to fatherhood. Through our programs, we can help you prepare for the fun and memorable experience of raising your own children. For more information on our services, please do not hesitate to get in contact with Fathers 4 Progress Inc. for more information today. This entry was posted in Fatherhood Training Center and tagged Fatherhood Program, Father’s Responsibility, Good Parenting. Bookmark the permalink.